Come and try over 50 flavors of coffee at Crazy Bean Espresso! We also offer smoothies and other drinks for those non-coffee drinkers. Come and grab a frappucino and muffin to jump start your day the right way! 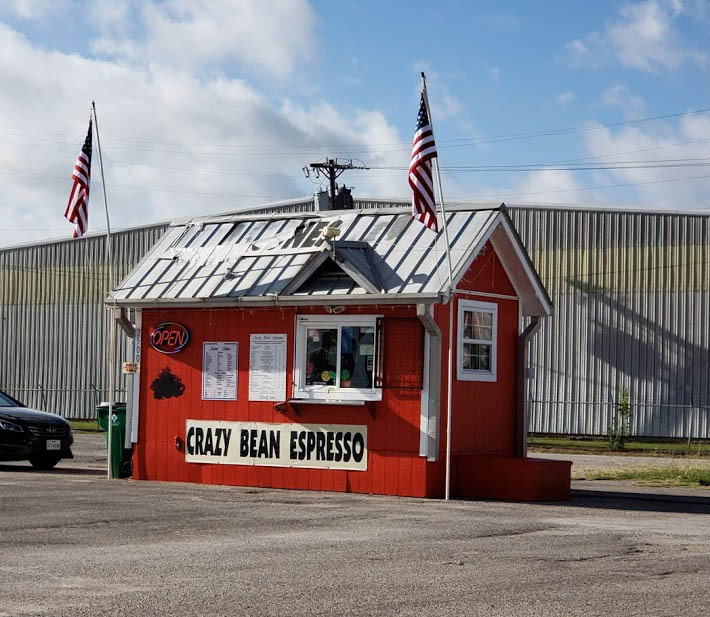 At Crazy Bean Espresso, we offer a huge selection of coffee products including frappuccino’s, iced coffee, and hot coffee. We offer over 50 flavors including 25 sugar free flavors. We’re also serving smoothies, Italian sodas, snow cones, and many more blended drinks. For breakfast, we offer fresh muffins, biscotti, coffee cake, and bagels. Our bottled drinks include the following: VERVE, 3 flavors of Monster Energy, 2 flavors of Red Bull, orange juice, apple juice, and water. We also carry non-fat milk and soy milk.